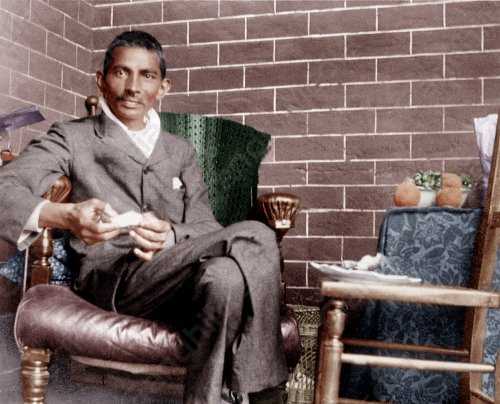 Mahatma Gandhi recuperating at the house of Rev. J.J. Doke, his first biographer, in Smith Street, Durban, after being assaulted by the Pathan Mir Alam on February 10, 1908. The Photograph was taken on February 18, 1908.